This porcelain tea light holder is a fantastic accessory if you're looking to create a summery setting in your interior. Think of tropical destinations as you gaze into the homely tea light's flame. 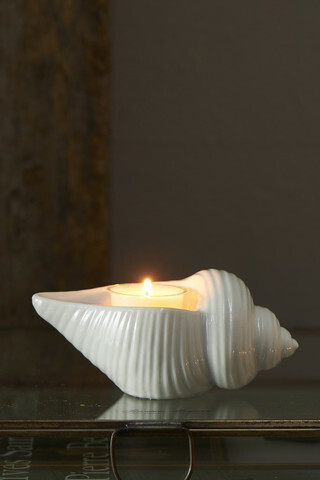 The tea light holder is in the shape of a dog whelk and is instantly recognizable. Also great to combine with the other porcelain items within this theme.